Bloom is not only one of my favorite piece but it also the piece I am most proud of. I have always loved the idea of having a signature piece of jewelry that can be worn every day. With “Bloom” I think this idea was brought to life. The tiny sterling silver rose was hand forged out of 16 gauge sterling silver wire and is inspired by Charles Mackintosh’s geometric rose designs. I have been making jewelry since 2001 and it has been a slow evolution from stringing beads on invisible string to one-of-a-kind wire creations! I am completely self-taught. I decided when I started making jewelry that I wanted to create an original organic line of jewelry. As a small business owner, trying to make a living as an artist, the most important piece of the puzzle is staying true to my artistic vision. It’s easy to look at what other people are creating and try to make the same thing just to make a sale. Over the years I have learned that the truer I am to myself the more creative I am. If I try to make jewelry to sell I CANNOT make anything worth selling! Want to enter this giveaway for a chance to win? The email addresses that I collect for this giveaway will only be used for the purpose of contacting the winner. This giveaway will close next week on Wednesday, October 29 at midnight (CST). I’ll announce the first name of the winner in a new post the next morning and contact the winner by email. I will draw the name of the winner by using the random number generator at Random.org from the eligible entries received. If a winner does not contact me within 48 hours by email, I will draw a new winner. This giveaway is only open to residents of the United States who are 18 years of age or older. 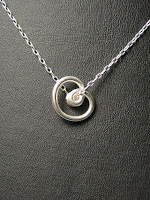 Jane Osgood Designs will mail the necklace to the winner (shipping is included in this giveaway prize). You must complete this form to enter this giveaway. Required questions have been marked. If you can’t see this entry form, please go directly to Freebies 4 Mom. Scroll down until you see this giveaway post. Please only enter this giveaway once per household. Good luck and remember that you need to complete the form to enter this giveaway. You are welcome and encouraged to post comments here, but any comments will not be considered as entries in this giveaway. Just for fun, please leave a comment on what your favorite jewelry piece is at Jane Osgood Designs. My favorite are the Blossom earrings because they are unique and I can see myself wearing them every day. Thanks for entering and come back tomorrow to find out who won! I love the Love necklace! A Modern Wedding is very pretty, too! What a great way to get small gifts grandchildren and have on hand when they come to visit. I agree, the Blossom earrings are great! The Sunlight necklace is empowering! 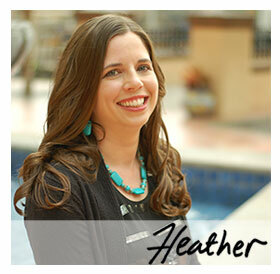 It’s Heather, Freebies 4 Mom, and I wanted to clarify that this giveaway is open for entries for one full week! You can still enter and I will not close it until next Wednesday, October 29 at midnight (CST). Thanks for entering! I’m hoping that you wait until Wed. the 29th because it was after midnight when I read about the drawing! The Triple Crown is my favorite with matching earrings! Flapper Girl Amy. It would go great with any little black dress! I love the bloom necklace. There are a couple of other nice pieces there that I will have to add to my wish list. I like the encapsulated necklace. It has such a unique design. I absolutly LOVE the Encapsulated!!! I am thinking I found what to get my sisters for Christmas!!! The bloom necklace has to be my favorite too! They are all so pretty though! Its “a modern wedding” for me.. I like the encapsulated necklace. It reminds me a loving hugs! I like the bloom necklace (very simple and understated) and the love necklace. I really like the colors of that one. I hope you mean today the 22nd so we don’t have to wait until next Wednesday to find out the winner! Also, I love that your form goes right into google docs. AWESOME integration.oh…and I love tiny circles earrings!! I love the twilight necklace. What is your favorite frugal store? I love the Sunlight necklace…just stunning! For me it is a tie between the A Modern Wedding set and the sunlight necklace…gorgeous!